Simply put, the FLIR i7 infrared camera has been a runaway bestseller. And not without cause–it seems to have the right combination of price, technical specifications, ruggedness, and usability right out of the box. While not the thermal imager with the highest resolution or the most features, what it does offer has proven far stronger than what it does not. That is, for thousands upon thousands of people it has been the right solution for their application. Like most thermal imagers offered today, five years ago the FLIR i7 would have cost multiples of its current price. But what has set it apart is that it has fallen below the two thousand dollar threshold. At $1995 many businesses and individuals have found that the i7 offers the right value for their needs. That value proposition includes some impressive technical specifications. The resolution of the FLIR i7 is 140×140, for a total pixel count of 19,600. This is more pixels, or measuring points, than some imagers that are twice the price of the i7. This means that the user can see more, either in terms of temperature variation, or in the overall viewable area. In the case of the FLIR i7, if a user were 15 feet from a target, the viewable area would be about 8’x8′. That’s large enough, for instance, to give a useful view when scanning walls for energy or moisture leakage. Yet if the target is a motor about 4 feet away, the i7 still has enough measurement points to show meaningful temperature variations. Those temperature variations can be as small as 0.10º C, anywhere over the -4º to 482º F measurement range. These technical specs also add up to make the FLIR i7 the most affordable infrared camera that will meet the RESNET Thermographic Inspections of Buildings standard. Everyday usability is another asset of the FLIR i7. It has a 5 hour working time on the lithium ion battery, and it’s rugged enough to withstand a 6′ drop. Perhaps more importantly, you can use it right out of the box. To be sure, there are things about thermal imaging which need to be learned, and obstacles to trip up proper diagnosis. Yet novice users can quickly perceive valuable information just by noting unusual thermal patterns. This ease of use is a great asset to the i7 (and the FLIR i-Series in general), and no small part of it’s popularity. The FLIR i7 thermal imager performs its job well, ruggedly, and simply. It has the resolution, sensitivity, and range required for most thermographic applications. In light of the features and value it offers, it’s not difficult to understand why so many businesses choose the FLIR i7. 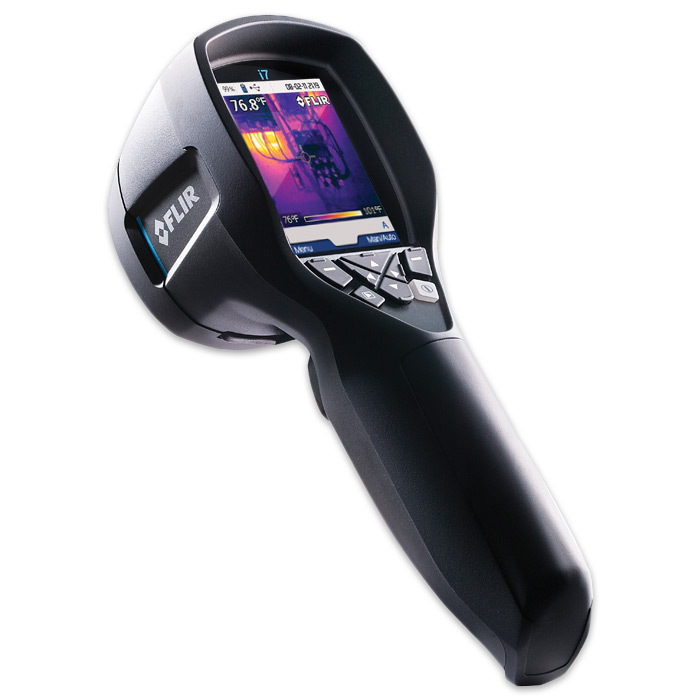 For more information on the FLIR i7, or for other options in thermal imaging, visit ivytools.com. Or give us a call at (877) 273-2311.